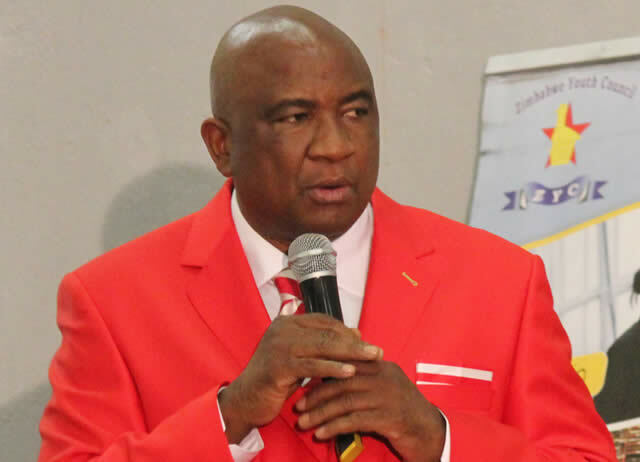 It's six days before the Zifa elections, but the end of a battle between the disqualified aspiring office bearers Felton Kamambo and Gift Banda and the national association, led by businessman Phillip Chiyangwa, is nowhere in sight. Aspiring Zifa president Kamambo and Banda, who was eyeing the vice-president's position, both disqualified from taking part in the elections are refusing to throw in the towel until justice is served. Three days ago, the appeals committee, dismissed as "a kangaroo court", upheld the disqualification of the duo, who wanted to challenge Chiyangwa and his deputy Omega Sibanda respectively, by the electoral committee. "We have exhausted all the possible channels in football so that our case can be heard. We have written to Fifa and the Ministry of Sports and if there is no favourable response by Tuesday, then we are exercising our constitutional right to approach the court of law," Banda told Standardsport. "We have to stop these elections. We can't stand by and allow this fraud to go on. It has got to stop and it's our responsibility to see that our football is clean and run in a proper manner." Banda was reacting to the appeals committee judgement, which dismissed their appeals on Thursday - 17 days after the appeal papers were submitted. "We have raised it within our judgement that the secretariat should have presented the appeals before the appeals committee expeditiously. It's a cause for concern. We only received the papers on November 20," Tafadzwa Mazonde, who chaired the appeals committee, told reporters. "But as you would appreciate we would assume there were certain modalities that were supposed to be made before the appeals were presented before us. For example, in the case of Mr Kamambo the payments were staggered, but the secretariat is in a better position to explain why they delayed. "What is important to note in terms of the Zifa constitution is that there are no prescribed rules for the appeals committee so as a result the committee makes those rules as and when it sees." Mazonde also declared that the apeals committe's judgement was final and the appellants would have to correct the issues that caused their disqualification in time for the next election in 2022. "I think the Chiyangwa led executive has a lot of skeletons in the closet and they can't afford to have any new person take over the system. Do you know that all the money that Zifa receives goes into individuals' accounts?" a source who refused to be named said. "The money from Fifa and the Cosafa winners' cheque was deposited into the account of Philemon Machana [the Zifa committee member in charge of finance] in South Africa. The money, which is in forex, is actually traded on the black market before it is turned into RTGS. If a forensic audit is conducted, heads will surely roll at Zifa. You can ask Machana about it," the source said. "On another platform, I am going to report them for fraud for raising the appeals fees. It's well-documented that the fees were pegged at $3 000 at the AGM, but I wonder where the $10 000 came from," said Banda. The disqualification of Banda and Kamambo has even overshadowed the election, which hangs in the balance.